Joko Widodo, is President of Indonesia. He was previously the governor of Jakarta and, prior to that, the mayor of Surakarta. 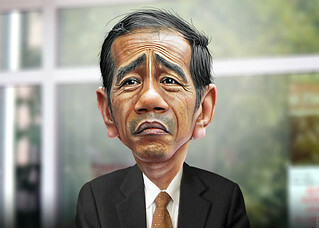 This caricature of Joko Widodo was adapted from a Creative Commons licensed photo from from NHD-INFO's Flickr photostream. The body was adapted from a Creative Commons licensed photo from available via Wikimedia.